"Russia is providing $18 billion. Each of the BRICS members may apply to any party to the treaty for loan,” Medvedev said, adding that key decisions will be taken by the Governing Council, which consists of either finance ministers or central bank governors. Russia will be represented by the head of the Central Bank of Russia Elvira Nabiullina. "I hope it [the agreement on establishing the pool – Ed.] will not only strengthen our economic cooperation, but also provide the participants of the ‘five’ more independence from the current international financial situation and the problems existing in the international financial institutions," he said adding that it’s one of the most significant practical initiatives of BRICS. The Government Commission on legislative activities approved Wednesday the bill on the ratification of the agreement to establish the BRICS reserve currencies pool. The ratification of this agreement will help Russia advance its monetary cooperation strategy, particularly in the development of privileged relations with its partners from BRICS, said the Russian government. 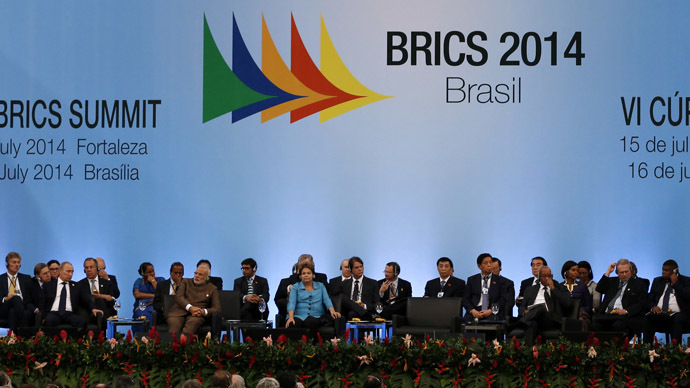 On July 15, 2014 the member countries signed an agreement to establish the $100 billion BRICS New Development Bank and a reserve currency pool worth another $100 billion. The bank is a rival to western financial systems and is expected to counter their influence on the global economy.